Jordan Pollack has been involved with the humanitarian group Firefighters Crossing Borders since 2008. As a regional representative, he oversees a cadre of fire and rescue instructors, and maintains one of the organization’s three regional equipment caches. Jordan is the originator of the Sinaloa Fire Training Symposium which brings 100 statewide firefighters annually to the state’s capital for three days of fire and rescue training. Working with local and regional fire authorities, Jordan and others continue working on development of policies, instruction, equipment, and vehicles. Annually, equipment and vehicles have been shipped to departments south of the border, supporting our fellow firefighters. In 2010 after the death of a local resident in the surf, Jordan with others founded the Zachary Chambers Foundation, a non-profit group focused on development of emergency services for the Bahia de Banderas region north of Puerto Vallarta. 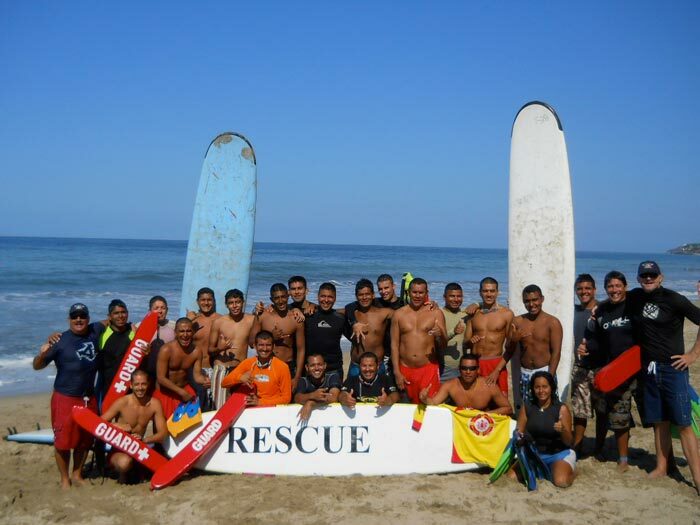 From those roots a lifeguard program in the busy tourist town of Sayulita continues to evolve. Special appreciation goes out to Jimmy Canale and Laine Pepper of Surf Lifesaving del Sur, our initial surf rescue instructors who established the program.